Window tinting is increasingly becoming popular based on the demands of both commercial and residential building owners. 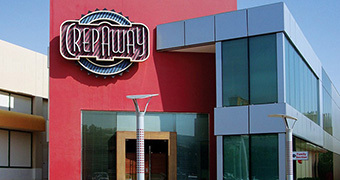 In commercial buildings, they help improve a structure’s appearance and save energy costs. Having a commercial window tint installed on your office glass can also affect how customers, business and employees positively. 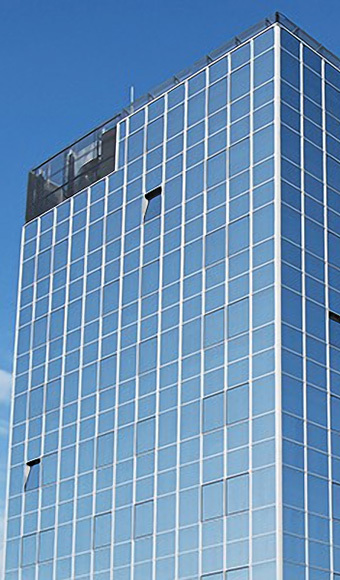 What Are The Benefits Of Commercial Building Window Tint? The design of most window films allows them to minimize the harmful impacts of the sun’s glare without fading or spoiling. You can seek a commercial window tint installation service to keep your employees and customers happy. Commercial window tints are less vulnerable to impacts and better for your health. The Skin Cancer Foundation approved the use of tints on the windows of commercial structures. How Dark Can Your Window Tints Be? Will this Affect Your Plants? Window tints can be dark enough to restrict the thermal rays from the sun. The amount of light that passes through them depends on the type of tinting material used. 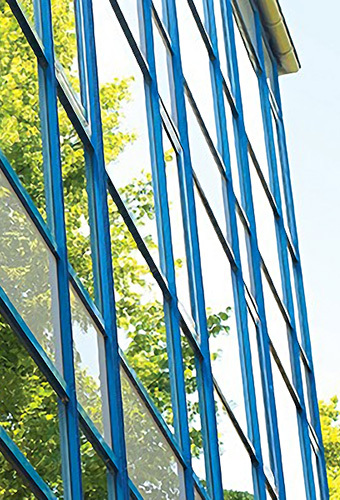 Most window films allow sufficient light needed for plants’ growth. Cameras designed using optical vision technology can also see through such films. Start with choosing a cleaning solution suited for commercial building window tints. Spray the windows with the solution as you gently wipe dust, dirt and spots using a soft cloth. Use a rubber-edged squeegee to wipe off excess cleaning solution. Remember to use a dry soft cloth (made of cotton) to soak up moisture that is lurking on the windows. Window films can minimize the harmful effects of UV rays, glare and heat generated by the sun. Their design allows them to block up to 80 percent of the sun’s heat. You can also rely on them to retain interior heat during the winter to reduce the heating costs. One of the objectives of seeking a commercial building window tint installation is to deflect the sun’s thermal rays from reaching an office. The tint only allows very little radiation to pass through the windows. The tint also allows light wavelengths rather than heat wavelengths to pass through. Most tints take more than five years without needing any repairs or maintenance. Their durability depends on the type of climate in your area and the amount of care they get. Most of them come with a warranty policy that allows you to get them polished when they start fading. Experts in this field usually recommend keeping the windows free of dirt and dust since they can compromise the appearance of the tinting material. The time that an installer takes depends on the number of windows in a built structure. The expert can take less than a day to have the windows in your building installed with high-quality films. One window can take less than forty minutes to complete tinting. Always discuss with the professional about the amount of time the job will take in advance. 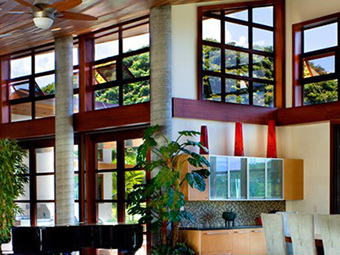 Window films are a great option for keeping your windows free from scratches and scuffs. The presence of dust, dirt or scratches on the windows may pose significant risks to the wellbeing of a room’s inhabitants. Having a window film installed in your home is among the best investments and decisions you can make to improve the building’s value. You’ll get to benefit from the warranty and professional advice associated with the installation of the films. How Much Does Commercial Window Tinting Cost? The type of window commercial window film you choose determines the cost of the tinting job. As you find a good installer, you’ll realize that most window tint manufacturer, dealers and installers recommend the standard solar films for commercial buildings. Please click here to schedule your own free estimate on cost per square foot of your commercial building. Will The Window Film Stop Fading? The type of care and maintenance applied to a window film determines its durability. You can prevent the films on your windows from fading by sticking to the care instructions given by the installer. Failing to care for them as required may limit the warranty benefits. Why Choose 925 Tint For Your Commercial Building Window Tint Installation? While DIY (do-it-yourself) window tinting may seem cost-effective, it can have several unexpected negative impacts. Hiring a professional to do the work assures you of quality and perfect results. The film quality in most DIY kits is usually of low quality. With an expert window tinting service, you get the right materials and equipment. A commercial window tinting company such as 925 Tint guarantees you of protection in case anything goes wrong. You’ll also save money to tint your office windows and increase productivity at the same time. Tinted windows can save up to 15 percent of your energy bills. They block radiant heat hence reducing the need for expensive HVAC systems. Click here to schedule your own free estimate on cost per square foot of your commercial building.